At 10:45 am on first working day of every month, a police band will play the tunes that encourage patriotic feelings during their march from Shaurya Samarak to Vallabh Bhawan in Bhopal. Kamal Nath said he condemned politics on Vande Mataram. The Congress government in Madhya Pradesh today took a 180-degree on the singing of Vande Mataram in the state secretariat. The national song will be back, but with the added feature of a police band. "At 10:45 am on first working day of every month, a police band will play the tunes that encourage patriotic feelings during their march from Shaurya Samarak to Vallabh Bhawan in Bhopal. On arrival at the Bhawan, the national anthem and Vande Mataram will be sung," said Chief Minister Kamal Nath, whose order scrapping the singing of Vande Mataram on January 1 provoked protests from the opposition BJP. This appears to be the "new look" Vande Mataram that the Chief Minister had promised, under attack from his predecessor Shivraj Singh Chouhan. Earlier this week, the state government had ordered that it was no longer a must to sing the national song, which meant for the first time in 13 years, government employees did not sing Vande Mataram at the secretariat on January 1. Shivraj Singh Chouhan, a three-time chief minister, had introduced the practice when the BJP was in power. Yesterday, he had pledged to sing the national song in the assembly along with over 100 BJP lawmakers as a mark of protest. 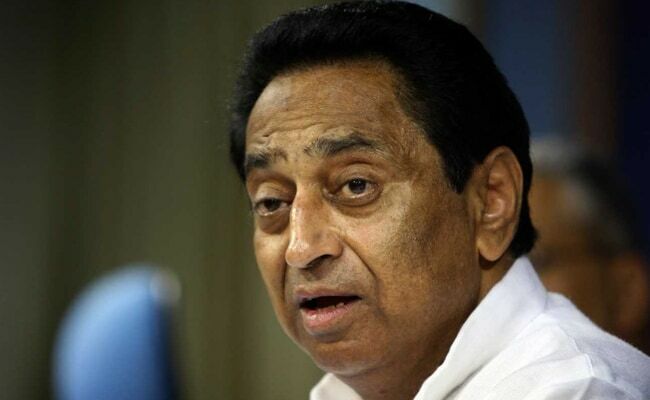 Kamal Nath said he condemned politics on Vande Mataram. "I feel that it is wrong to do politics on Vande Mataram. They are doing politics on 'Vande Mataram' and Ram temple. I condemn this. We will give a new look to 'Vande Mataram'," he said. "We have no intentions of breaking or protesting against the national song. The order to recite Vande Mataram in the Secretariat on the first day of the month has been put on hold. A decision has been taken to implement the order in a new form. Are those who do not recite Vande Mataram not patriots?" Mr Nath said on Tuesday.